Azerbaijan's Foreign Minister Elmar Mammadyarov has met his Indonesian counterpart Marti Natalegava on the sidelines of the Democracy Forum in Indonesia to discuss developing relations, AzerTag state news agency reported. The ministers discussed cooperation in energy sector and multilateral relations in international organizations. Natalegava praised activities of Azerbaijan as a non-permanent member of UN Security Council, and stressed the importance of high-level meeting of UN Security Council on "Strengthening partnership synergy between UN and Organization of Islamic Cooperation" organized on the initiative of Azerbaijan. 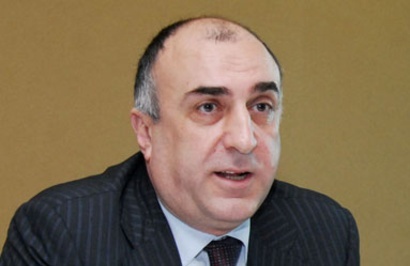 Mammadyarov informed his Indonesian counterpart on the ongoing negotiation process over the settlement of the Armenia-Azerbaijan Nagorno-Karabakh conflict. He hailed Indonesia's supporting Azerbaijan`s position in international organizations. Natalegava noted the importance of implementation of the UN SC resolutions concerning the settlement of the Nagorno-Karabakh conflict, highlighting his country's principled position on the conflict. The ministers reached agreement to enhance the legal framework between the two countries and to explore the opportunities for cooperation within regional organizations. Mammadyarov invited the Foreign Minister of Indonesia Marti Natalegava to visit Azerbaijan.